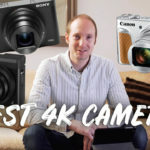 What is the best 4k Camera in 2019? I compare 3 compact cameras with flip screens, 4k video and available to purchase for under £500. 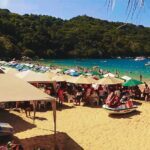 Which is best for you? 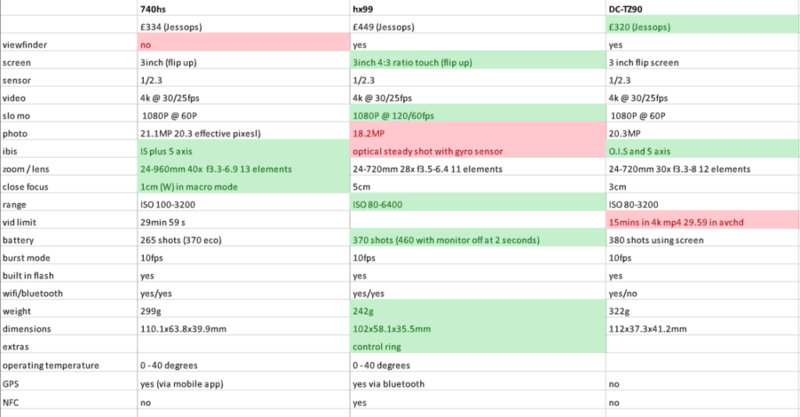 The Canon SX740 HS vs Sony HX99 vs LumixTZ90? Let’s find out. All three of these cameras are known as super zoom compact cameras due to the nature of their lens. At first glance, all three cameras have very similar specifications. 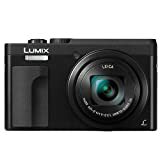 The cheapest 4k camera in this list is the Lumix TZ90 (also known as the Lumix ZS70) however it is by no means a slouch. It has a viewfinder and ring dial and can zoom in from 24mm-720mm which is a 30x optical zoom. The Sony HX99 has the same 24mm-720mm lens but has a better dynamic range of ISO 80-6400. It also is the smallest of the three 4k portable cameras. It also weighs the least for those worried about their trousers being pulled down by a heavy pocket camera. But which will be the best 4k vlogging camera with a flip screen? The Canon has an even longer zoom of 24-960mm and has 5 axis stabilisation called IBIS. However, it doesn’t have a touch screen or view-finder like the Sony HX99 and Panasonic TZ90. Watch the video and see which 4k camera under 500 is best for you. 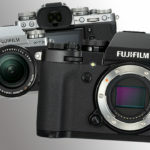 What 4k camera will you buy in 2019? Let us know in the comments and the reason why?